Not only has Ford revealed the new Edge SUV, but there is also a new engine to go with it. It’s called ‘EcoBlue’ and it’s a diesel engine which is able to offer a healthy 235bhp thanks to a displacement of 2.0 litres and a bi-turbocharging system. Ford states this new engine optimises low end torque as well as fuel efficiency too. I’ll come back to the engine in a bit though, what about the new Edge? 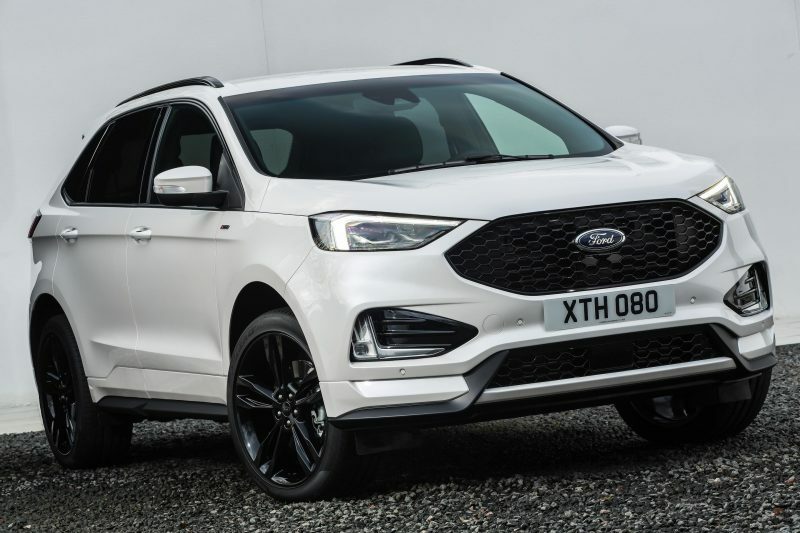 The new Ford Edge is the company’s most technologically advanced SUV ever, according to the Blue Oval, and is able to offer safety features such as Post‑Collision Braking, Evasive Steering Assist, and Adaptive Cruise Control with Stop-and-Go and Lane Centering Assist. All of these features are new to the European market for a Ford perspective so it seems as if Ford’s previous claim is going to ring true. Helping to run these driver assistance systems are a small army of cameras and sensors designed to keep you out of trouble, although the Ford Edge is such a big car, it gives the impression it would only lose to a tank in a crash. The Evasive Steering Assist is a nifty feature though – this system helps the driver steer around stopped or slower moving vehicles to avoid collisions. The techy stuff stuff isn’t just for safety though, the inside of the new Edge will have a fair amount of toys to keep occupants entertained and connected. 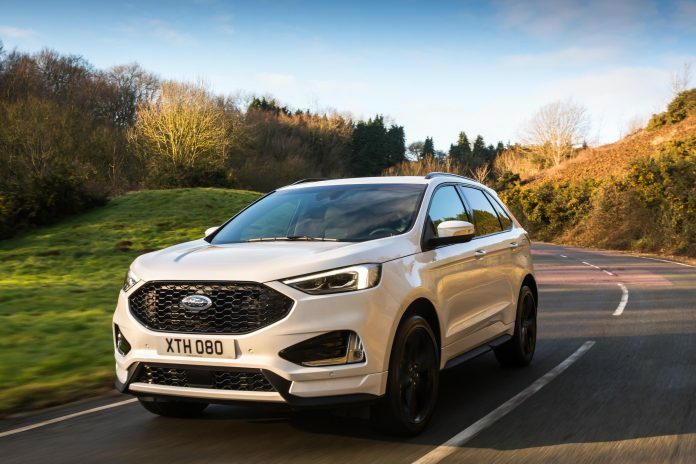 As with other Ford models, the Sync 3 system will be fitted to the Edge, which offers your standard Bluetooth, DAB radio, and of course smartphone connectivity. This is also made available via an 8″ colour touchscreen that is able to offer navigation as well. 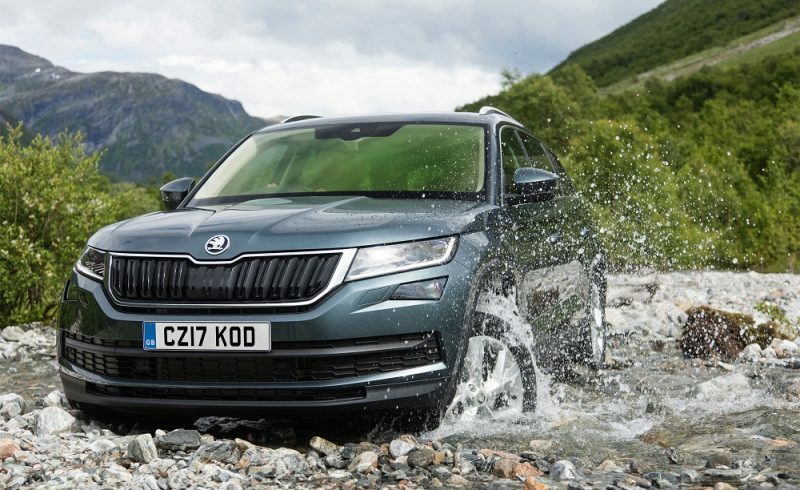 There are also optional extras available such as wireless phone charging, 3D digital instrument cluster and a new premium B&O Play system that uses a 10-channel Digital Sound Processor for better sound quality. Heated and cooled front seats can also be specified as well as heated rear seats and a heated steering wheel. Certainly, as mentioned, it’s 2.0 litres in displacement and it’s able to offer 235bhp. The new bi-turbo system will improve low end torque, but interestingly, Ford has not stated the torque figure on its press release, nor has the press release have the performance or economy stats… What Ford has stated, is that this new engine will be mated to a 8-speed automatic gearbox with power going to all four wheels. 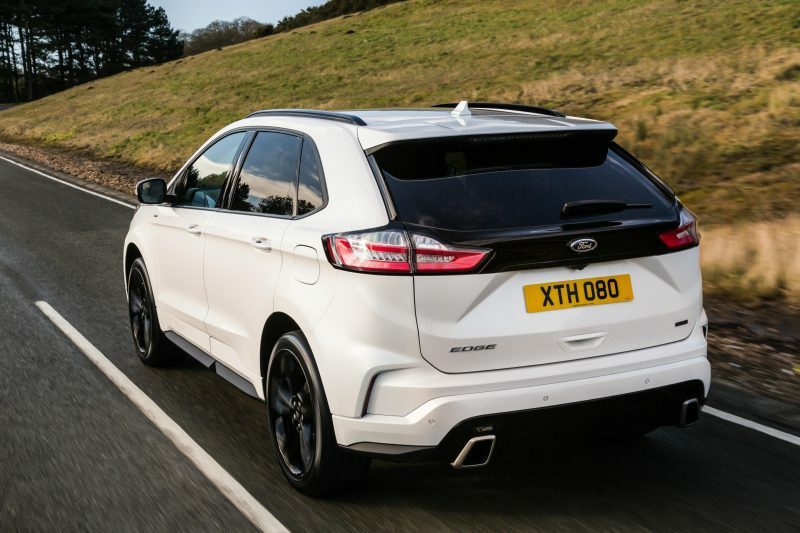 Ford also states that the new diesel offers less noise and vibration, meaning it will be more pleasant to drive, especially on longer journeys. The smaller turbo spools up first to make sure there is a good amount of grunt low down in the rev range, and then the larger turbo joins the party at higher speeds but works alone to provide the boost required for the peak torque. There is also a 187bhp version which is mated to 6-speed manual gearbox and all wheel drive, plus there is a 148bhp version which is mated to the 8-speed auto and front wheel drive. 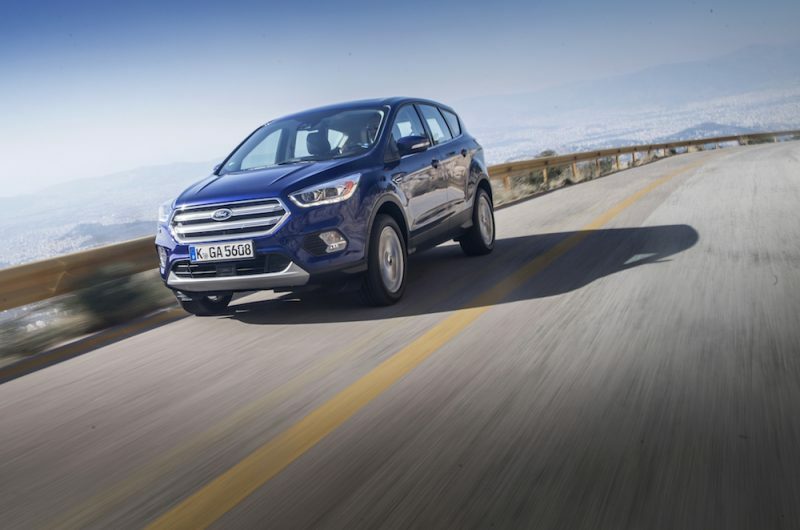 The ST-Line model is the trim level that will debut the new Edge in Europe, which is the sportier one out of the bunch. 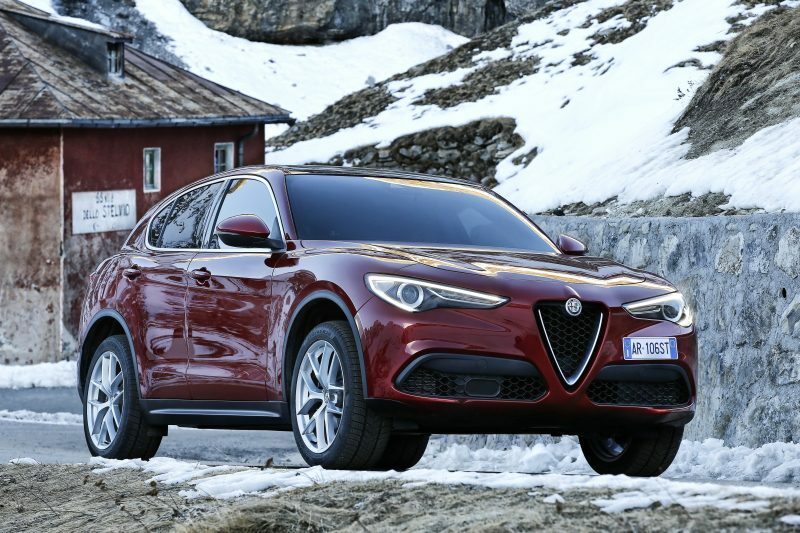 Naturally, this will be made available with the 235bhp diesel, and as you would imagine, it will have plenty of styling cues to show off its sporty credentials. The car will sit lower, thanks to sports suspension and will come standard with 20″ alloys, although you can go for the optional 21″ if desired. 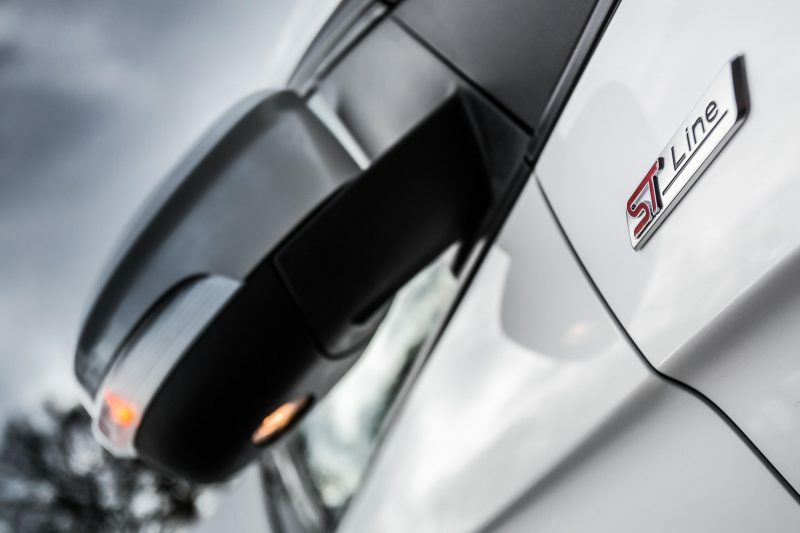 There are is also a ST Line specific body which has black design details, and at the rear you will find the obligatory dual exhaust pipes with chrome tips. Step inside Ford’s large SUV and you’ll find sports pedals, dark roof-lining, a sporty steering wheel trimmed with perforated leather, and Perforated partial leather Miko®-Dinamica seats with 10-way power front seats. 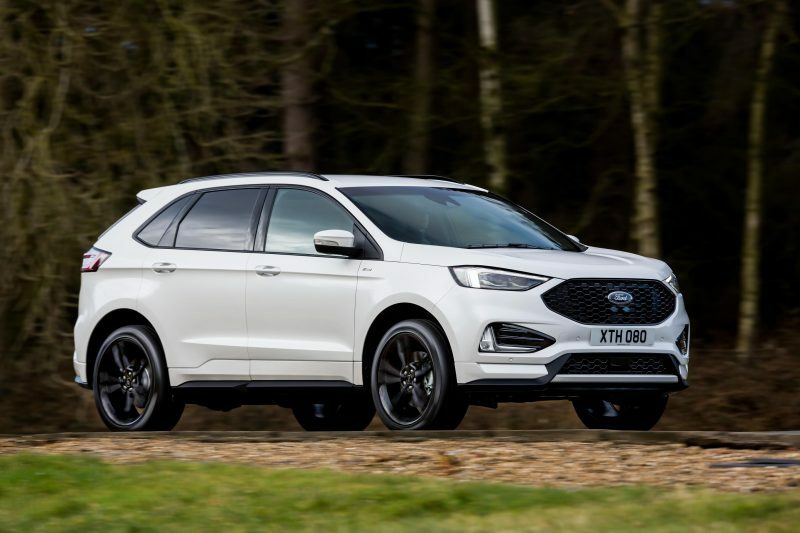 The new Edge will also be available in Vignale, Titanium and Trend trim levels, but full prices and specification are yet to be announced. More details should come soon as the new model will be available to order in Europe later this year.